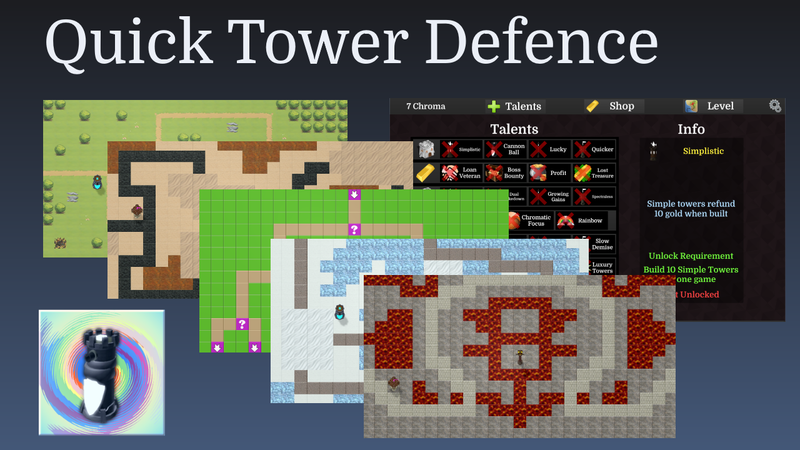 Build some Towers, buy some Upgrades, unlock some talents and stop hordes of enemies in Quick Tower Defence! The game is free and available for Windows and Android. It comes with a map editor too so you can make your own custom maps to play on or share with others!